Old Town Sana’a, Yemen, 2007. Photo via Richard Messenger. Guest post by Matthew Hauenstein and Madhav Joshi. Representatives of the Yemeni government and the Houthi rebels met in December in Sweden to begin talks to end Yemen’s nearly four year long civil war. Yemen is divided between the Yemeni government and the rebels, who ousted the government from the capital, Sana’a, early in the war. Saudi Arabia led an intervention backing the government, using airstrikes and a blockade and triggering a widespread humanitarian crisis. In Sweden, the government and rebels agreed to withdraw from the critical port of Hodeidah, to release 5,000 prisoners, and to additional negotiations regarding the city of Ta’iz. However, this agreement has not significantly altered the status quo in Yemen. Both sides have accused the other of violating the ceasefire and have their own interpretation of the stipulations concerning the handover of control of the port city. To reach a Comprehensive Peace Agreement (CPA), it is critical that both sides uphold their commitments to the ceasefire and to further talks. This piecemeal approach to CPA negotiations is common; peace processes in Northern Ireland, Colombia, and the Philippines used this strategy, with varying degrees of success. The disastrous situation on the ground may drive both sides to support long-term negotiations. One prominent negotiation theory claims that talks become more likely when fighting reaches a “mutually hurting stalemate.” When both sides think military victory is impossible, peaceful settlement becomes more attractive than suffering war. Despite the technological sophistication of the Saudi coalition, the conflict has become a stalemate with high costs for all sides, including international condemnation of Saudi Arabia. Given this, the war may be “ripe” for settlement. However, the negotiations face several hurdles. First is outside interference. Military interventions, like the Saudi mission in Yemen, make wars last longer. In addition, if outside actors try to influence the negotiations, they can sink otherwise viable settlements. Further, Iran is allegedly supporting the Houthis as part of their regional power struggle with Saudi Arabia. Second, the Houthi rebel’s proposed reforms—a national dialogue, constitutional reform, and decentralization—could jeopardize the peace process. A national dialogue is a grassroots mechanism for identifying reforms to prevent or end war; however, these proposals may conflict with elite interests, preventing their implementation. 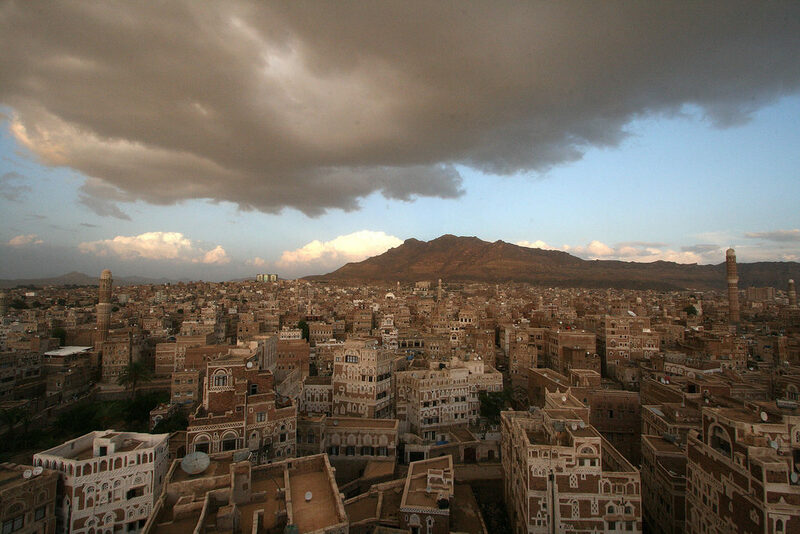 Yemen’s 2013-2014 national dialogue did not prevent the current conflict. Constitutional reform is extremely slow. For example, reforms following Nepal’s civil war lasted eight years. The parties need a transitional framework to fill the legal void during this process—one option, a national transitional government, was rejected by the government. Decentralization also poses multiple problems. First, disagreements over a federal government undermined the last national dialogue. Second, governments tend not to follow through on decentralization promises. In our data on CPA implementation, only 43% of decentralization reforms were fully implemented within ten years. Political scientists emphasize two roles for the international community in the peace process. The first is monitoring agreements to ensure both sides keep their promises. Third parties can provide information on compliance or offer to protect disarmed rebels from future attacks. Outside guarantees help overcome both sides’ shared distrust to reach a settlement. The December agreement allowed the UN to monitor the ceasefire around Hodeidah, but the Yemeni government rejected UN peacekeeping. In our research, we find verification is the key to future implementation. Second, third parties can mediate talks. The Swedish government is facilitating the current negotiations, but they might not be able to deliver peace. When mediators have leverage, they can unintentionally impose unworkable deals. For example, the 2015 South Sudan peace agreement was shaped by mediation involving neighboring countries—as a result, South Sudanese representatives felt the deal was imposed on them and did not implement it. Considering two future issues will help build a lasting peace. The first is forming a post-war government. Elections are one possibility, but research shows that elections are destabilizing immediately following civil war. Although a transitional government was rejected by the government, we find power-sharing transitional governments can prevent destabilization from elections and achieve implementation success. The formation of a power-sharing government is a more promising path forward compared to the alternatives proposed by the UN at the fifth day of the meeting as it brings both sides together to overcome the current impasse on a ceasefire and the control of the Hodeidah port. Further, a disarmament, demobilization, and reintegration (DDR) program, including the formation of a new armed forces, is critical. In the post-war period, former belligerents can disagree on where to assemble for disarmament, who monitors the process, or even the number of fighters to be disarmed. Settling the logistics of the DDR, and the nature of the new armed forces, can prevent delays that could threaten the peace in the future. Don’t expect the parties to make significant progress when they meet this month and reach an agreement that will immediately end the war in Yemen. CPAs are the result of long and difficult negotiations. The current agreement will be successful if both sides can build trust by meeting their obligations under the agreement and committing to more talks as the most contentious negotiations are still to come. *Matthew Hauenstein is a postdoctoral research associate at the Kroc Institute for International Peace Studies in the Keough School of Global Affairs at the University of Notre Dame. Madhav Joshi is an associate research professor and associate director of the Peace Accords Matrix at the Kroc Institute for International Peace Studies in the Keough School of Global Affairs at the University of Notre Dame.